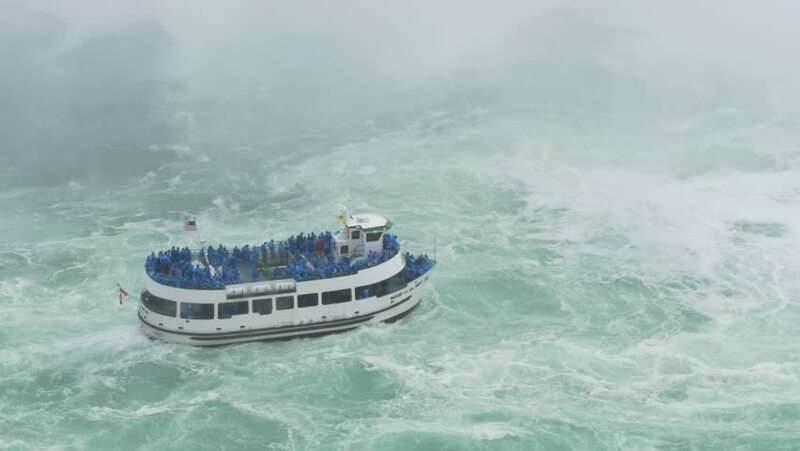 4k00:12NIAGARA FALLS, CANADA - Circa, June, 2014 - Tourists aboard The Maid of the Mist approach Niagara Falls. For editorial use only. 4k00:16NIAGARA FALLS, CANADA - Circa, June, 2014 - Tourists aboard The Maid of the Mist approach Niagara Falls. For editorial use only. 4k00:20NIAGARA FALLS, ON - OCTOBER 19: A Hornblower Niagara Cruises tour boat holds against the current near Horseshoe Falls on the Niagara River on October 19, 2016 in Niagara Falls, Ontario, Canada. 4k00:21NIAGARA FALLS JULY 2017: Maid of the Mist sightseeing boat at the base of Niagara falls. Close up water level view of tourist boat at Niagara falls. Low angle view of passenger ship at water falls. 4k00:16NIAGARA FALLS, ON - OCTOBER 19: A Maid of the Mist tour boat holds against the current near Horseshoe Falls on the Niagara River on October 19, 2016 in Niagara Falls, Ontario, Canada.